This summer, Estancia La Jolla Hotel & Spa began offering a free Mercedes Sprinter shuttle service within a five-mile radius of the hotel. Downtown La Jolla shopping district: Enjoy upscale boutiques, bistros, art galleries and more. La Jolla Cove: See the seals at La Jolla Cove, or rent equipment for kayaking, snorkeling or diving at this gorgeous, one-of-a-kind location. 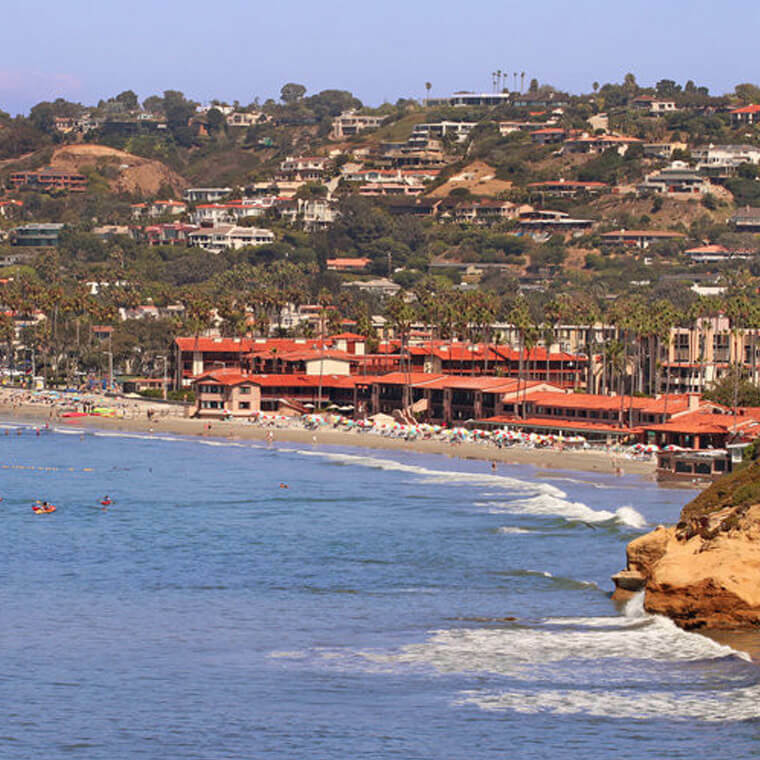 La Jolla Shores: This crescent of sandy beach is a great place for all types of ocean fun or a visit to the Scripps Institution of Oceanography. University of California, San Diego: Visit USCD to watch a sporting event, a play, a dance performance or view the Stuart Collection of site-specific artworks. University Town Center: Known as UTC, this outdoor Westfield shopping mall features department stores, boutiques, restaurants, a movie theater and an ice rink. Torrey Pines State Natural Reserve: Explore 2,000 acres of natural landscape along the coast, perfect for hiking and complete with breathtaking coastal views. From breathtaking beaches and outdoor adventure to arts and culture, from fine dining to premier shopping, La Jolla truly is a jewel of Southern California. With its free shuttle service, Estancia makes it easier than ever for visitors to explore all the area has to offer.